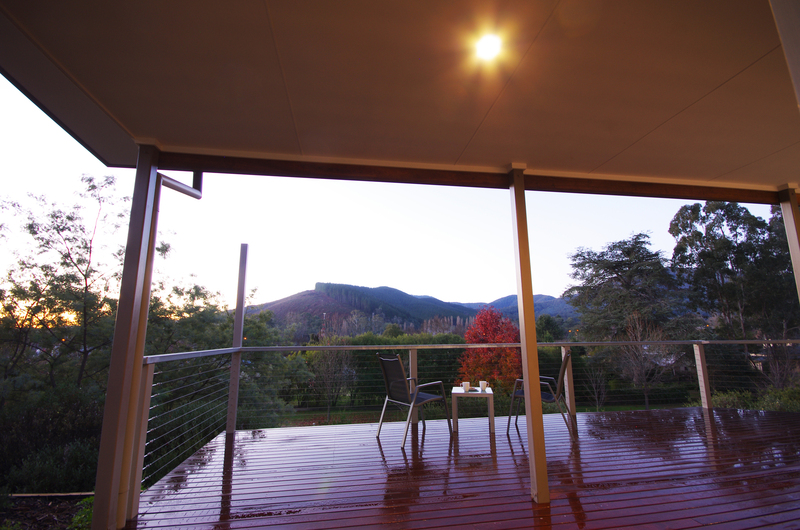 Cadence at Bright is luxury house accommodation in possibly the best location in Bright. Overlooking the Rail Trail with a magnificent view to the north, Cadence is only 600m and a short stroll to the cafes, restaurants and shops. 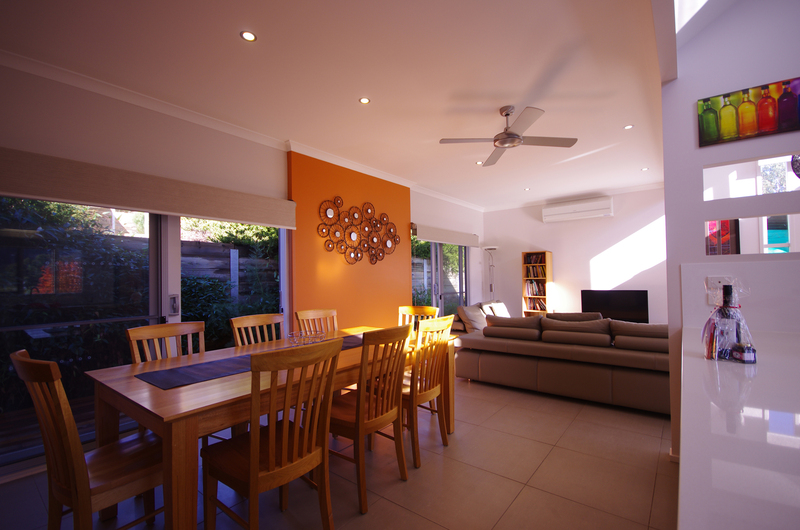 This contemporary, light-filled house is fitted out with high quality furnishings and inclusions to ensure a comfortable and relaxing stay. It comfortably sleeps six with a king, queen and two single beds. But do you have some friends who want to come at the last minute? Don’t worry. The comfortable top quality modular lounge can also be configured for two single beds or joined for a king size bed. 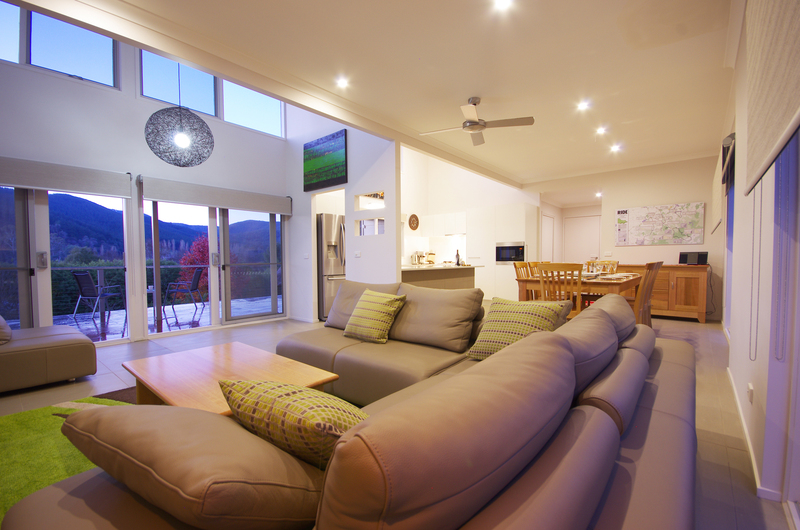 Whether you are celebrating your team’s Tour of Bright success, relaxing after your exploration of Mt Buffalo’s rock formations, or just planning your activities for tomorrow, Cadence is fitted out to satisfy your needs. A fully equipped gourmet kitchen is ready to cater for your family or group whether that be entertaining the rest of your extended party or simply baking those special delights that you don’t have time for at home. Wireless internet, a Smart TV, DVDs, board games, puzzles, cards and books are available for those hours when you just want to relax. Cadence is the perfect luxury accommodation and specifically set up for road cyclists and mountain bikers with secure fully enclosed bike storage plus those little extras that cyclists appreciate: workstand, floor pump, tools including pedal wrench and cleaning equipment. Make Cadence at Bright your base when experiencing the great outdoors that Bright and the surrounding areas have to offer. Only a short stroll to cafes, restaurants and shops. 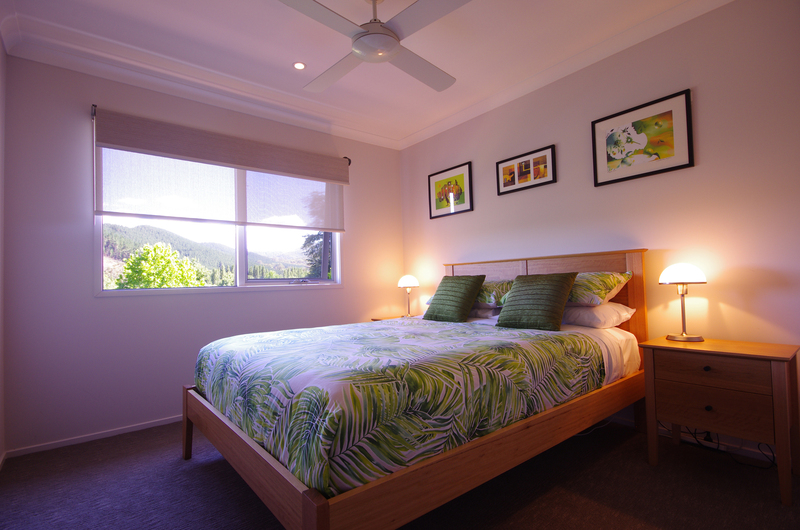 All bedrooms have quality mattresses on timber bed frames, bedside tables with lamps and clock radios, and ceiling fans. Bedding comprises doonas, blankets, electric blankets, two pillows per person and all linen.